Be warned, errant councillors. Today​ Hadleigh tomorrow Waverley? It’s already happened here in Waverley! One member of ‘Your Waverley’ had his collar felt a while back before being elected to serve the people of Farnham. Council Leader ‘Bobby’ Knowles’ friends in the force sought an ‘interview’ to put the frighteners on. So a knock on the door from the boys in blue is nothing new! So watch out Councillor Paul Follows, Godalming’s new Lib Dem – just read the article below! Just in case you start making a nuisance of yourself! Oops – you already have! Of course, it helps if you are in the Police Federation, like ‘Your Waverley’s’ former leader Robert Knowless. According to some of our friendly Waverley plods it’s easier to pull in the odd favour when you are one of THEM! So the present Leader Julia Potts may not be quite so lucky? Oh dear! Did Surrey County Council Highways take us too literally? There we were doing our public-spirited bit to save Godawfulming’s poor unsuspecting souls from falling down pavement potholes! Then along comes a highway wally to fill in the offending potholes and then makes his way to Cranleigh to fill in its potholed streets – along with the roadside drains! However, we are aware that when God was handing out BRAINS some of those a little hard of hearing stood in the line that said – DRAINS! Cranleigh electrician Ron Jimmison, who along with many others, have been complaining about the new town’s potholed streets, spotted this drain covered in tarmac after the highway wallys had made a visit! If at​ first you don’t succeed just keep on complaining. Isn’t it now time for you to consider this woman’s ‘serious’ complaint Tom Horwood? Here Ms. Wordworth is referring to the Waverley Web website. A Touch of Frost nips the ankles of Godalming’s new boy! A little outburst about the adoption of ‘Your Waverley’s Local Plan by Councillor Paul Follows brought a moment of theatre to The Towers when a council veteran waded in to rebuke the new boy on the block after he received a round of applause! Never one to be outdone – The Frosty one, poked Councillor Paul in the eyes, with her increasingly blunt stick – in the hope that the voting fodder would actually believe that the past Local Plan failures, were of course, not the fault of Tory Tossers, but the Liberal Democrats! Is that chattering the sound of icicles forming on the Frosty one’s lips that we hear? Is she fearful of losing yet another of her Farnham seats? Pat Frost lost her county council seat to her Farnham Residents rival, Councillor Andy McLeod last year. We say bring those 2019 elections on! As we all here at the Waverley Web watched the webcast last night there was a certain MADNESS in the air followed up by a Press Release from POW – the Protect Dunsfold Aerodrome group – purporting to be standing up for the whole borough! Hence the reason why we all – burst into song! What a night? What a week! ‘with a gun against its head’! Protect our little corner had the bare-faced cheek to accuse the Leader – Oh-not-so-Potty-One now – of taking their comments ‘very seriously’. Seriously? They flatter themselves! No one takes that bunch of nincompoops seriously, least of all La Potts who, like Joan of Arc, has swept all before her and led her Council from abject and repeated failure (under her predecessors Robert Knowless and Richard Shut-the-Gates ) to triumph. It has taken La Potts less than two years to knock the Council into shape and deliver the much needed Local Plan which her predecessors had failed to deliver in over 10 years! Just goes to show what happens when you put a woman in charge – you get results and in double quick time! You go, girl! Their brush strokes getting ever broader, ‘Protect our little corner of the Borough’ accused the Council of an ‘attitude of bravado’ and spoke of the ‘surreal experience’ of Councillors expressing serious concerns about the new Local Plan, yet then voting in favour of it’! Seriously? We all know that the Councillors – with one or two notable exceptions – all speak with forked tongues. They twitter on about the lack of merit in this planning application and that planning application and then, like the good little Tory sheep they are, they all fall into line and do as they’re told when it comes to entering the voting lobby. ‘Turkeys voting for Christmas’ according to Protect our Little Corner … Maybe that explains the poultry crisis, with no fowl to be had since KFC’s decision to switch delivery companies from Bidvest Logistics to DHL. Now we know it’s nothing to do with DHL, all the turkeys buggered off to vote at the Burys! Instead, why not start taking the anti-depressants – apparently they work – and Oxford University (not Trinity College Cambridge, owners of Dunsfold Park, we hasten to add) is recommending they be prescribed to up to a million more people. And, in the meantime, keep drinking the Red – because it fends off irritation (OK, maybe they are talking about teeth and gums but, who knows, it might just help the very sore losers get over their bitter disappointment! Now, everyone! Down to Bet Fred, who will be laying odds on whether POW has gone really, really, mad, and having passed around the begging bowl…again…decide to issue a legal challenge – so that even more green fields across the borough can be developed! WAVERLEY BOROUGH COUNCIL INVESTIGATED BY POLICE! After ranting on for years about Farnham’s Air Quality issues has someone, somewhere, finally listened to Jerry Hyman? After following the powerful Environment Overview & Scrutiny Committee chaired by Farnham Resident councillor Jerry Hyman for some time it was only a question of time before he would force his, and the serious concerns of many others, including the Farnham Society, to be heard. Funny really when the webcasts of his meetings are either – not webcast at all – or they don’t seem to work most/all/some of the time!! Cover up or what…? Accountability – what accountability? • Air Quality Officer Ann Marie Wade – GONE! • Executive Director Paul – Wen-am-I-leaving – GONE! • Deputy Director – Damien, The Omen, Roberts – GONE! • Council Leader during most of the period in question Robert Knowless … Has he gone… or is he just missing, most of the time? • As for Julia – has she just put on her mask and gone to Potts? Roger Steel, a former borough councillor and member of Waverley’s executive, has criticised Waverley’s handling of Farnham’s air quality problem on behalf of the town planning watchdog the Farnham Society. He told the Farnham Herald: “At the moment, Waverley judges that NO2 levels contravene safe limits set by European Union Regulations at three places in Farnham – two in The Borough and one in Wrecclesham Road. But with the correction of the local bias factor, I fully expect at least six to seven places to be exceeding that limit. “We are concerned that there may now be further delay in the issuing of the 2016 Air Quality Report and subsequent air quality data which is needed so that appropriate measures can be taken to reduce the health risks to residents and retailers, and also so that well-informed planning decisions can be taken. Mr Steel added, although the content of the audit report and scope of the police investigation is unknown, he believes Waverley faces a substantial “six-figure” fine should it be found guilty of any wrong-doing, adding “if it is the case that Waverley knew its figures were wrong when submitting them to Defra, it could be very, very serious indeed”. He continued: “The Environment Act 1995 makes clear that local authorities are obliged to monitor local air quality and submit their findings to Defra – and can be penalised if they break this law. WILL THEY WON’T THEY… NO! Because there is no accountability at Waverley Borough Council. But the council is yet to release the audit report in the public domain or reissue its withdrawn 2016 air quality report – leaving a huge question mark as to whether Farnham has a pollution problem or not, at a time when planning appeals for more than 500 homes in the town area are to be determined in coming weeks. It comes after Waverley commissioned an independent review of its 2016 Air Quality Annual Status Report last August following complaints by the Farnham Society and Farnham-based air quality expert David Harvey that council officers had got their figures wrong. This error was confirmed by red-faced council chiefs a month later – calling into question the validity of previous annual air quality reports that have used the same basis of calculation, and prompting a comprehensive audit of Waverley’s air quality monitoring and reporting arrangements. Waverley is duty-bound to submit an annual air quality status report to DEFRA after an Air Quality Management Area was declared in Farnham in 2004, following the discovery of excessive levels of nitrogen dioxide (NO2) which has been linked to as many as 40,000 premature deaths every year in the UK. The council’s latest Air Quality Annual Status Report, published last May, claimed air pollution – and specifically levels of NO2 only “slightly exceeds” the national objective at three monitoring stations in Farnham; two in The Borough and one in Wrecclesham Road. However, this was challenged by Mr Harvey, the director of West Street firm ADM Ltd, who believes Waverley has dramatically under-estimated the problem after miscalculating two ‘bias adjustment factors’ used to counter discrepancies between the council’s monitoring equipment. Waverley’s situation bears painful similarities with that faced by another unitary authority, Cheshire East Council, which admitted ‘falsifying’ its own air quality figures last year, requiring hundreds of planning applications to be reviewed and prompting an ongoing police investigation. Responding to the criminal investigation into Waverley’s own botched report this week, Mr Harvey told the Herald: “I am baffled as to why what seemed to be a case of discourteous incompetence has been referred to the police to investigate. “There does seem to be similarities with the between what is going on at Waverley and East Cheshire where the police were called in to investigate what appears to have been ‘deliberate and systematic manipulation of data’ and perhaps is pointing to a wider problem with how local authorities are undertaking their statutory duties to review and assess air quality. “I have no idea what the police have actually been asked to investigate and cannot understand how it could have come to this. “I have been in contact with Waverley since first drawing attention to the problem in May last year and have been impressed by how pro-active they have been since understanding that there was a problem with the data. Tell us what you want, what you really really want Cranleigh? Frank talking on behalf of the people of Cranleigh as more bulldozers head towards Waverley’s NEW TOWN. 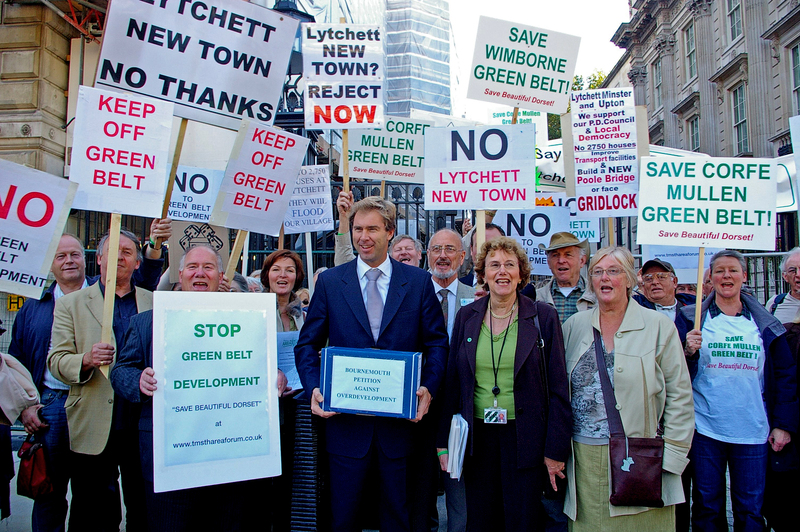 As if these developers give a tuppeny duck what the residents of Cranleigh want – what they really, really want! Because from what we hear over here in Farnham, Cranleigh people really, want is some peace and respite from HGV’s thundering through their once peaceful village, and the unrelenting onward march of developers through their streets. Who are they providing homes for? The locals? 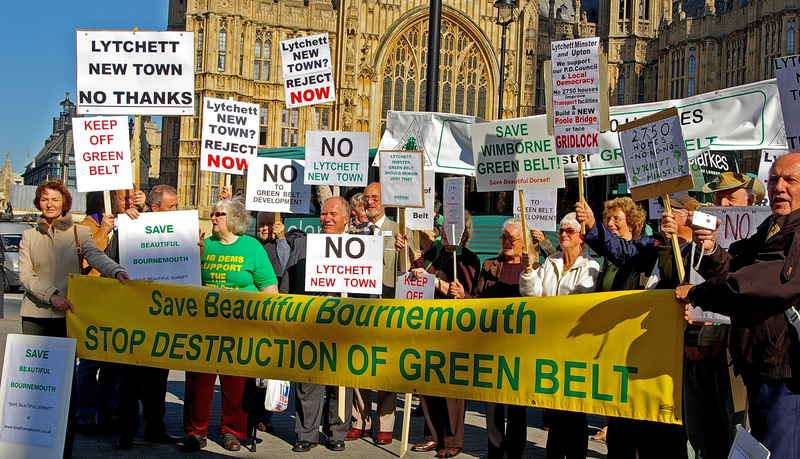 No homes to satisfy the housing needs of the Woking Wimbledon and Wandsworth Wanderers! As for the low-cost homes, for village people? We here at the WW are totally discombobulated! Low cost for whom exactly? No doubt the very same Cranleigh people that moved into Sirus Place in Parsonage Road, most of whom are from outside the new town! Pull the other one – it’s got cement on it! Three four and five-bed low-cost homes! And… where did the village benefactor Lettuce and his friend Leafy (aka Vrijland and Leahy) Go? Well you know where don’t you Cranleigh residents? Laughing all the way to the nearest bank! Well, that is if there’s one open? We notice that now the West Cranleigh Nurseries 265-home development in Elmbridge/Alfold Road has been re-named – Knowle Park. No doubt that sounds slightly more grand than mentioning that it is adjacent to a Poo Factory and to floodplains? No doubt those flooded plains will be a little further away now Lettuce and Leafy have illegally dredged the Cranleigh Waters, affected flooding further downstream, and got clean away with it? No surprise there then for the Tory Party donors! Sorry, Ms. Faithfull. The days you and Mr. Swinnerton cherished have long gone. Here are just a few of the fifteen, and counting, empty or closing, retail outlets in Farnham.